West Main Street (123; 119-115; 111-107; 105-101) - Lexington, Ky. Opposite Centrepasture has again become one of downtown Lexington's grandest blocks. The block's renaissance kicked off when Bellini's opened in 2003. 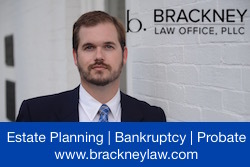 Its owners have restored the first floor of 115-119 West Main, a structure designed in the Italianate style by local architect Cincinnatus Shryock in 1869. 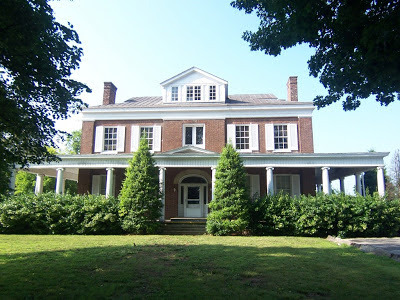 This five-bay, three-story structure appears sufficient in height to be five stories. 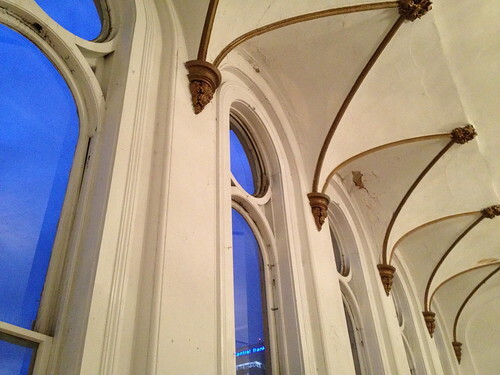 It is, however, its third floor ballroom that makes the structure so unique. Surrounded on two-stories, the Shryock-designed building has beautiful round-top windows that allow an incredible amount of light onto the third floor ballroom. What is now a tremendous asset for Bellini's, but the space is a reminder of the building's original purpose. Atop is a French Second Empire Mansard roof that is incredibly unique for the region. 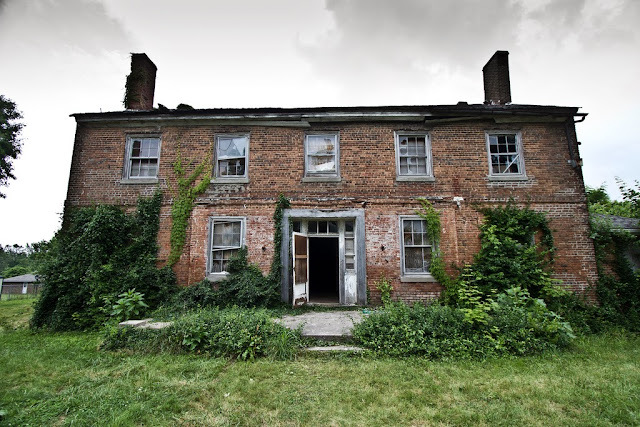 The building was built by the Odd Fellows fraternity and stands as a symbol of the optimism experienced in Lexington immediately following the Civil War when citizen's concerns went from conflict to prosperity and the arts. And although the era provided Lexington with another opportunity to return to its former status as an Athens of the West, that train had already moved on to the larger cities. 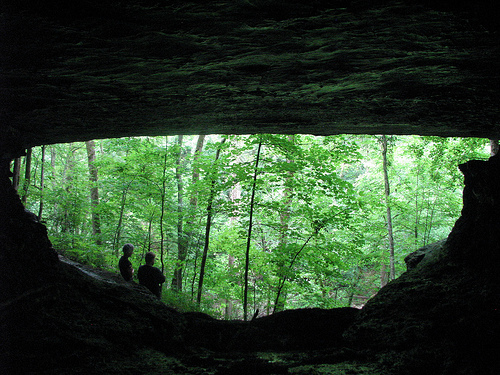 Still, Cincinnatus Shryock created a multi-use masterpiece. Wrote the Gazette: it was "one of the handsomest buildings in the state. 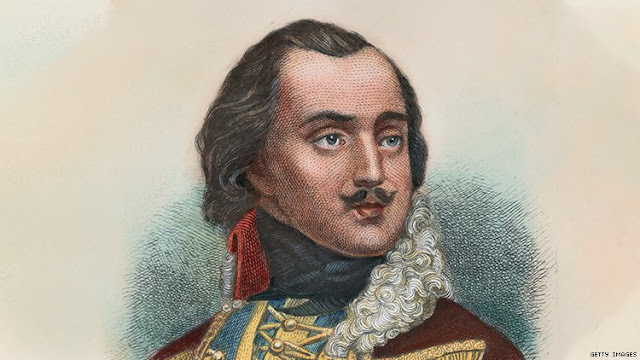 The Odd Fellows retained the whole third floor ... which has been subdivided so as to suit their purposes, clearing one large hall which has been fitted up most sumptuously and with exquisite taste!" The first floor, marked by cast iron Corinthian columns, contained two separate storefronts flanking a stairwell to the upper levels. Law offices occupied the second floor and, as noted, the Odd Fellows Lodge the third. Today, the second floor is half vacant and half apartments with Bellini's hoping for the opportunity to add additional "large party" space on the second floor. The eastern front, 115 West Main, once housed Skuller's Jewelry for the better portion of the 20th century. 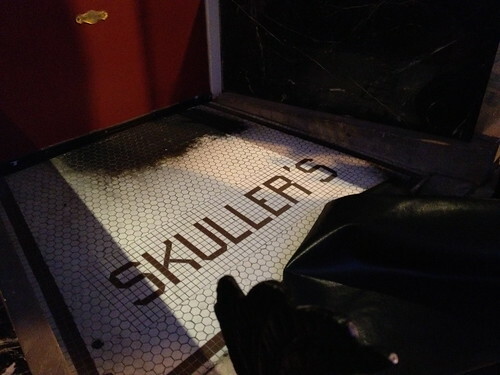 Although Skuller's closed in 1984, its name remains as inlaid tile hidden just below the mat outside the front door. 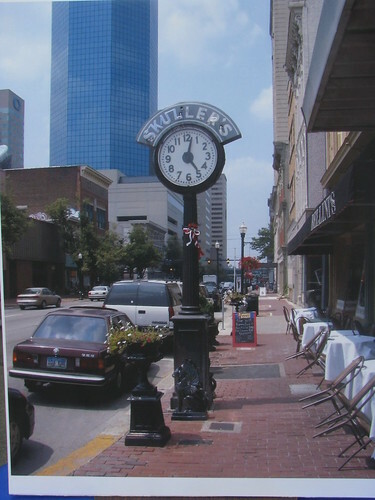 Skuller's Clock, built by Pennsylvania's Brown Street Clock Company, was removed as part of the Main Street beautification project with hopes of restoring it. At fourteen feet tall, the two-faced clocked atop a fluted iron column is a Lexington landmark in its own right. When it was removed last year, it was announced that the repair costs would be approximately $25,000. 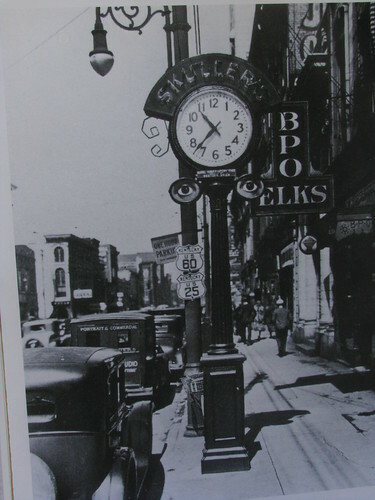 The clock remains mothballed, but to the left are pictures of how the streets cape has appeared over the years with the circa 1913 Skuller's Clock. Other buildings in this half of the West Main Street block (as pictured at top) are 123 West Main Street which had its façade completely restored to its 1920s appearance for the new nightclub, Trust. 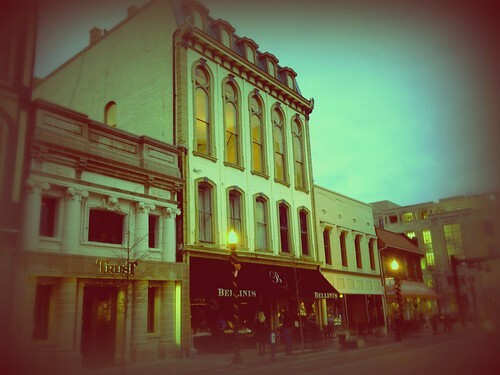 On the other side of Bellini's is 107-111 West Main Street which also experienced a façade restoration in the past year. This building houses Sunrise Bakery and another Bellini's banquet hall. At block's end, 101-105 West Main Street has always maintained a unique façade with a fantastic terra cotta roof; it was announced earlier this week that the new owner, Dudley Webb, will restore this building as well. This block of West Main Street contains a great concentration of historic buildings that together create a very interesting, wonderful streetscape with the Cincinnatus Shryock creation as its central masterpiece. Additional photos of the Blue Grass Trust deTour to Bellini's are available on flickr.